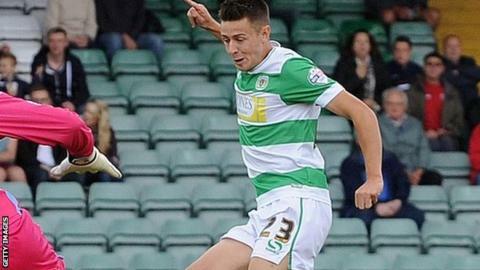 AFC Bournemouth forward Harry Cornick has extended his loan stay at Yeovil Town for a further month. Cornick, 20, has scored three times and made 13 appearances for the League Two club since moving in August. He will now remain at Yeovil, who are 22nd in League Two and only a point above the relegation zone, until early November. They face Coventry in the Johnstone's Paint Trophy on Tuesday and then host Dagenham & Redbridge on Saturday.